At Land Rover Austin Parts, we maintain a comprehensive inventory of high-quality Genuine Land Rover parts, accessories, kits and gear suited for your Land Rover lifestyle. Our highly knowledgeable, Land Rover factory-trained and certified staff are here to help you select the Land Rover parts and accessories you need to maintain the optimum performance of your Land Rover. Land Rover Austin offers an e-bay online store for parts and can source specific, hard-to-find classic parts from across the globe. 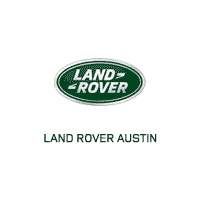 Land Rover Austin proudly serves Austin including: Westlake Hills, Round Rock, Cedar Park, Pflugerville, Barton Creek & Bee Cave, Jollyville, Anderson Mill, Lakeway, Kyle, Leander, Georgetown, Taylor, Lockhart, San Marcos, Canyon Lake, New Braunfels and Seguin, Texas.